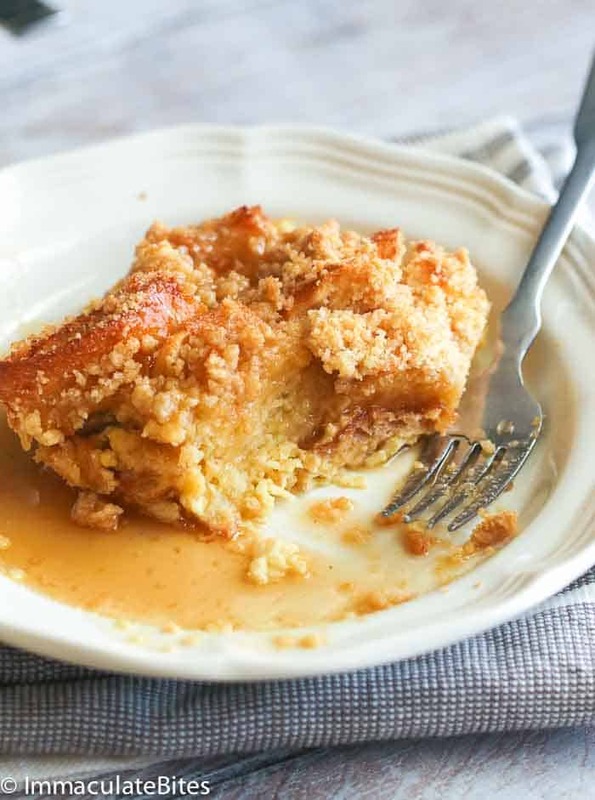 French Toast Bake – easy, scrumptious layers of cinnamon French Toast with a crusty crumb top; baked in the oven for that ultimate breakfast and brunch comfort food. You can make it the night before or bake it right away. It taste good as always! French toasts are a favorite. 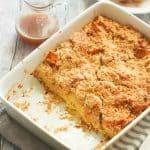 But when I’m trying to feed a crowd for breakfast, I go by with this super easy and heavenly casserole of French Toast Bake. ‘Cause let’s all admit it, we just can’t stand at the stovetop flipping every single toasts for your family or guests. That is just too much work for a holiday breakfast. Okay, back to the bread stuff. I usually buy whole wheat bread ‘cause as they say it’s much healthier compared to the white ones. But in this crowd favorite French Toast Bake, we’re going to use fresh white loaves of Texas Toast. It’s a white bread, sliced extra thick and more dense. But of course, if you don’t have this brand accessible to you, you can opt for any thick white bread. 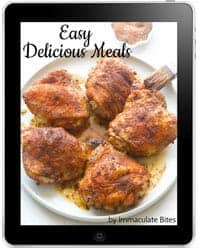 Thick, dense, white bread are best preferred for this recipe as they are already sweet on its own and it can hold up the egg mixture as it soak up. And since it’s the holiday season, what’s best than to soak up this french toast in a rich, creamy, sweetened coconut rum drink – Coquito! Oh la la – I’m doing my Christmas dance, you know! 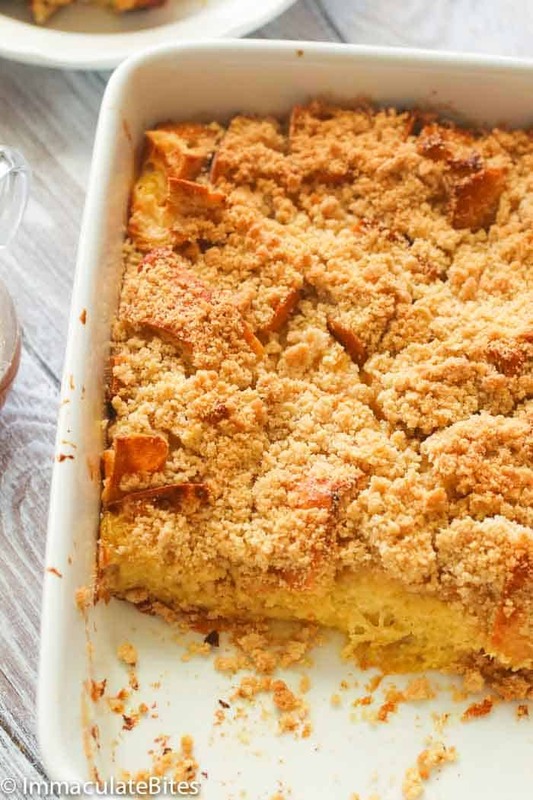 You’ll surely have the tastiest casserole of french toast ever. 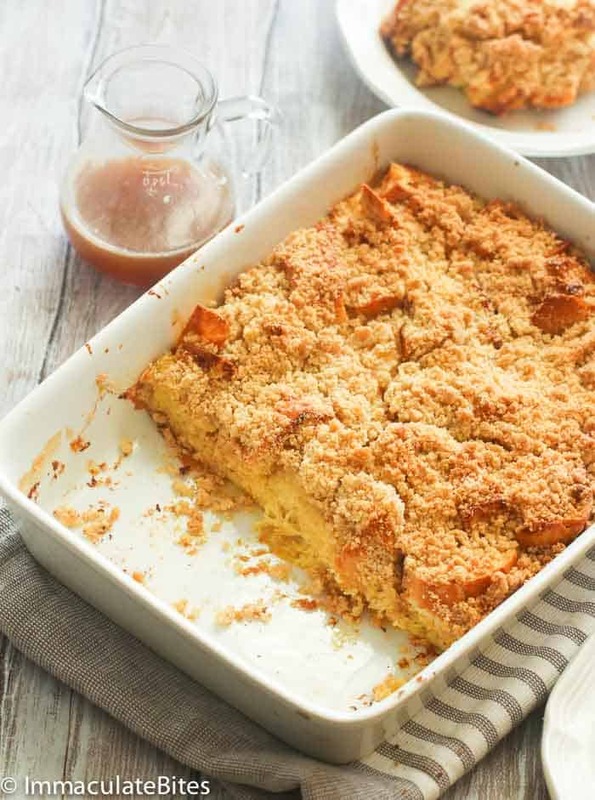 Moreover, one thing about this power brunch meal is that you can assemble the bread in a casserole the night before and allow the bread to soak up the delicious coquito egg mixture overnight and prepare the brown sugar butter topping separately and put them in the fridge. And on the next day, all you have to do is take it out and sprinkle the topping on the bread casserole and pop it in the oven. Voila! When choosing the bread, always go for thick and dense white bread to soak up well. Or you may also use scraps of bread or stale bread (or dried out), cut into chunks and place in a freezer bag. If you wanna skip the cutting of bread part, you may go ahead and dip each slice of bread on the mixture and assemble them in the casserole overlapping each slice and pour in the mixture. When assembling the casserole ahead of time, make sure to cover it with plastic wrap two times before you put it in the fridge. If you want to bake it right away, make sure to use your hands to push bread down after you pour the custard, then let it sit for 15 minutes and push bread down again to ensure it’s fully submerged in the egg mixture. To reheat a leftover French Toast Bake, you may slice and microwave each serving for a minute. Or cover the whole casserole with foil and pop it in the oven at 325 degree for 30 minutes or until warmed through. 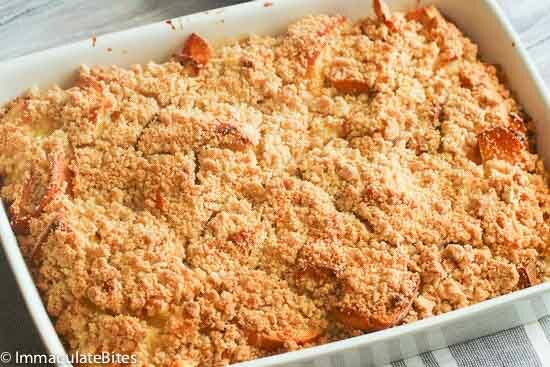 Spray or generously butter a 9×13 baking dish with nonstick cooking spray. Evenly place the the bread cubes into the prepared baking dish. Set aside. In a very large mixing bowl, whisk together the eggs, coconut milk, coquito , milk, sugar, brown sugar , vanilla extract, nutmeg, and cinnamon until thoroughly combined. Pour the mixture over the bread evenly, you may have to press some of bread so every inch is soaked in the egg mixture. Let it sit for for at least 4 hours or preferably overnight. When ready to bake, preheat oven to 350° degreeF. Then combine the flour, brown sugar, sugar, cinnamon, nutmeg, salt and butter until crumbly, evenly sprinkle on the the bread mixture. Bake at 350 Degrees for 45-50 minutes or until the top is golden brown. Crispy on the inside and soft outside. While the the french toast bake is baking, make the bourbon syrup by melting first the butter in a small sauce pan over medium heat. Followed by the maple syrup for 3-4 minutes, until the syrup is warmed through out. Remove it from the heat and stir in the vanilla, salt, and bourbon. Set aside and serve with bake. 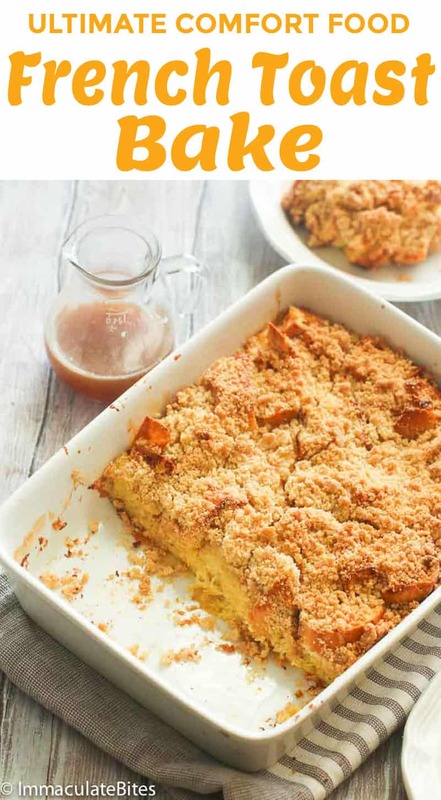 Remove the French Toast Bake from the oven and allow to cool slightly. Spray or generously butter a 9×13 baking dish with nonstick cooking spray. Evenly place the the bread cubes into the prepared baking dish. Set aside. 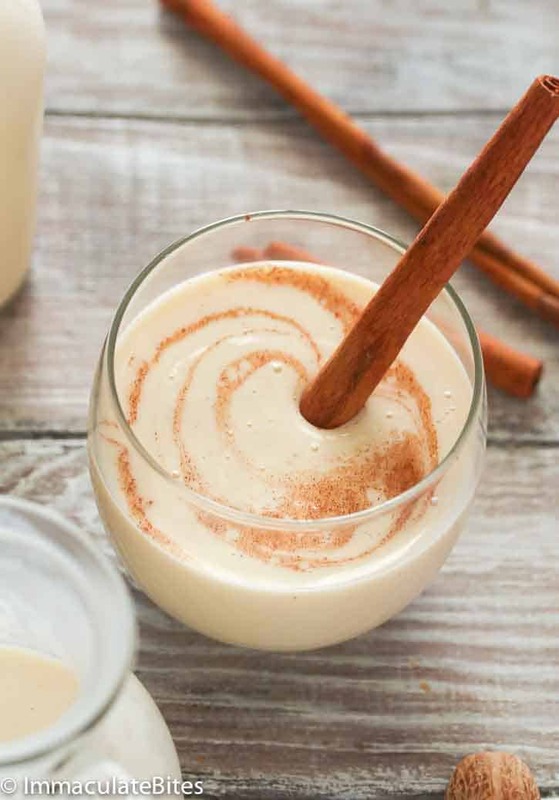 In a very large mixing bowl, whisk together the eggs, coconut milk ,coquito ,sugar, vanilla extract, nutmeg, and cinnamon until thoroughly combined. Let it sit for for at least 4 hours or preferably overnight. When ready to bake, preheat oven to 375°F. Then combine the flour, brown sugar, cinnamon, nutmeg, salt and mix thoroughly. Add cold butter and mix until crumbly. Evenly sprinkle on the the bread mixture. Then place the bread mixture in the oven and bake at 350 Degrees for 45-50 minutes or until the top is golden brown. Crispy on the inside and soft outside. 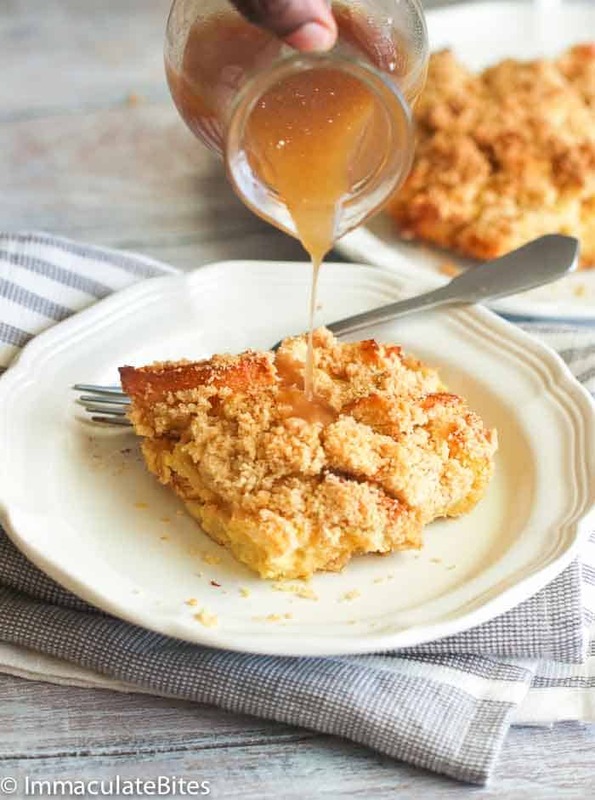 For the syrup: While the the french toast bake is baking, make the bourbon syrup by melting the butter and syrup – melting the butter in a small sauce pan over medium heat. Followed by the maple syrup for 3-4 minutes, until the syrup is warmed through out. Remove it from the heat and stir in the vanilla, salt, and bourbon. Set aside and serve with bake. What can I use in place of the Coquito? I do not drink and neither do my guests. I want to make this for a brunch event. Can I replace the cream with Soy Milk for those of us that are Lactose intolerant ? Sorry for all the questions, this dish just looks and sounds so good, I want to make it soon!